Dash Cam 65W is an easy-to-use high-definition driving recorder with 2.0” LCD display. With a 180-degree field of view, it captures more of the environment — including cross traffic — and includes GPS for detailed time and location data, pinpointing exactly where and when events occurred. Rely on your Dash Cam 65W to capture excellent video detail in both bright and low-light conditions. 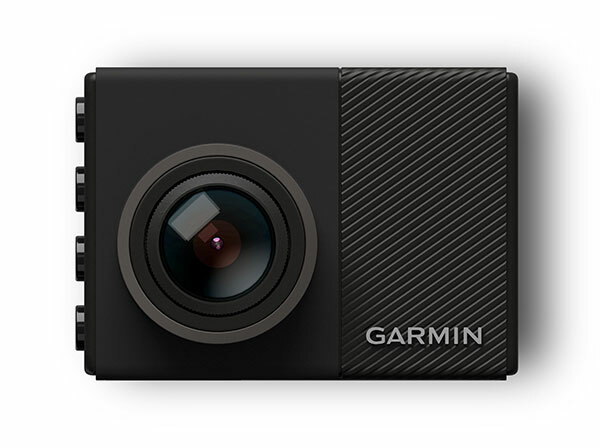 Mount the camera to your windscreen, and record your drive in 1080p. Dash Cam records in a continuous loop, using the included replaceable microSD™card. To add more memory, add a larger microSD card (accepts up to 64 GB, sold separately; Class 10 required). Play back the footage right on the display — or review later on your computer or use the free VIRB® App on your smartphone. Dash Cam 65W has built-in Wi-Fi® so you can wirelessly sync videos to your compatible smartphone after downloading the free VIRB App. This makes it easy to share videos with friends, insurance agencies or legal authorities. Dash Cam 65W features helpful driver awareness warnings to help encourage safer driving. 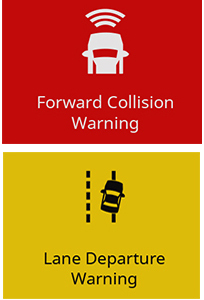 The forward collision warning(1) alerts if you drive too closely to the car ahead. Lane departure warnings(1) alert you if you stray from your lane. Built-in red light and speed camera data alerts you when red light cameras or speed cameras are near. (2) And when your vehicle is stopped at an junction or in traffic, the “Go” alert notifies you when traffic ahead of your vehicle is moving again. (2)Red light and speed camera warnings are not available in all regions. (3)Voice control is available for English, French, Italian, German, Spanish and Swedish.